Dishes are in the dishwasher, laundry is in the washing machine, dinner is on the stove, one girls is playing LEGOs while the other girl reads on the couch, and the house that Matt painstakingly straightened while we were gone is trashed, trashed, TRASHED. We must be home again! We left a few projects in the lurch for our trip--our bat house, the thankful tree, the Disaster Dioramas of Pompeii and the Titanic, a whole slew of Spanish flashcards--and every now and then, as the girls decompress and I continue my manic run through the holiday craft fair season, we're picking them all back up again. For instance, we finally finished a project that we've been working on for a while--putting all the Magic Tree House books in their proper spot on our huge basement timeline. 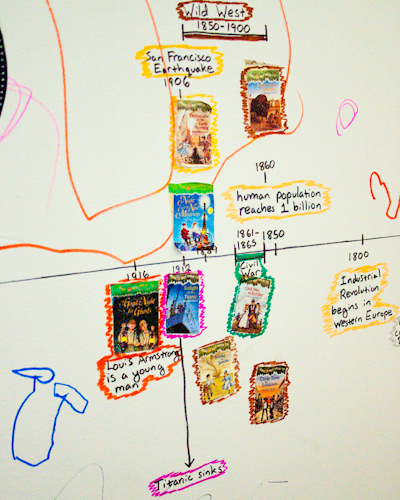 Because the girls listen to the Magic Tree House audiobooks over and over again, they've gained quite a bit of historical and geographical knowledge, but it can be tough putting that into a wider context, and wider contexts is what I am all about. Some books aren't included in the list because they don't take place in any particular time--wait with bated breath for our big geography project later on. We're also still reading the latest Magic Tree House, the one about Charles Dickens, and then we'll put that one on the timeline, too. I had no idea, until we actually started placing them, how many books Mary Pope Osborne had set in the latter half of the nineteenth century or so. If we ever move and thus need to do our timeline over again, remind me to set aside more room here just for her. I was going to encourage them to listen to Thanksgiving on Thursday, but I don't seem to have ripped the audio copy from a library CD yet. Fortunately, we own a paperback copy of the book, so perhaps we'll find time to read it out loud together today. That is such a fantastic idea! My almost 5yo loves the audio books also, she will listen to them over and over. I love the idea of the time line. Mind if I use your hard work and print out the list? Goodness, please do--that's why I published it! For the wider time ranges, I just had Will glue the book cover anywhere within that time range. In the books themselves, however, one of the characters often gives a more specific date for when they really are. I didn't have the books in front of me, though, so I gleaned all my dates through research. What a fabulous idea. 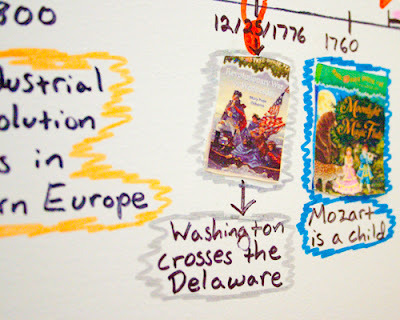 As a timeline addict, I love how you took something they are interested in reading/listening to and then giving them a space in time and allowing them to see how different historical events take place at similar times. When we were on vacation, I also bought lots of postcards of stuff-the discovery of Pluto, the formation of the Grand Canyon, etc.--and one of our super-many projects this week is to get all of those nice and settled on our timeline. Did you read the books in published order, then place on the timeline? Or have you jumped through in historical order? We have had the books for awhile and read the first few I would love to use these more in studies, just they never seem to line up with holidays, the order is so wonky. 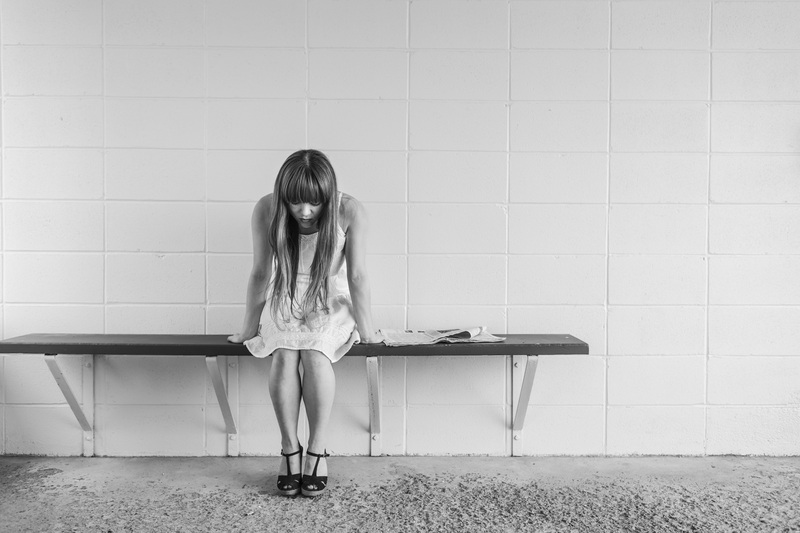 It has been hard to plan around. Also do you have a pdf of the thumbnails for share possibly?> thanks so much for the time line post that will be of use for sure. It's actually so interesting to look back on this post, written over three years ago, because Magic Tree House is STILL part of our lives every week. 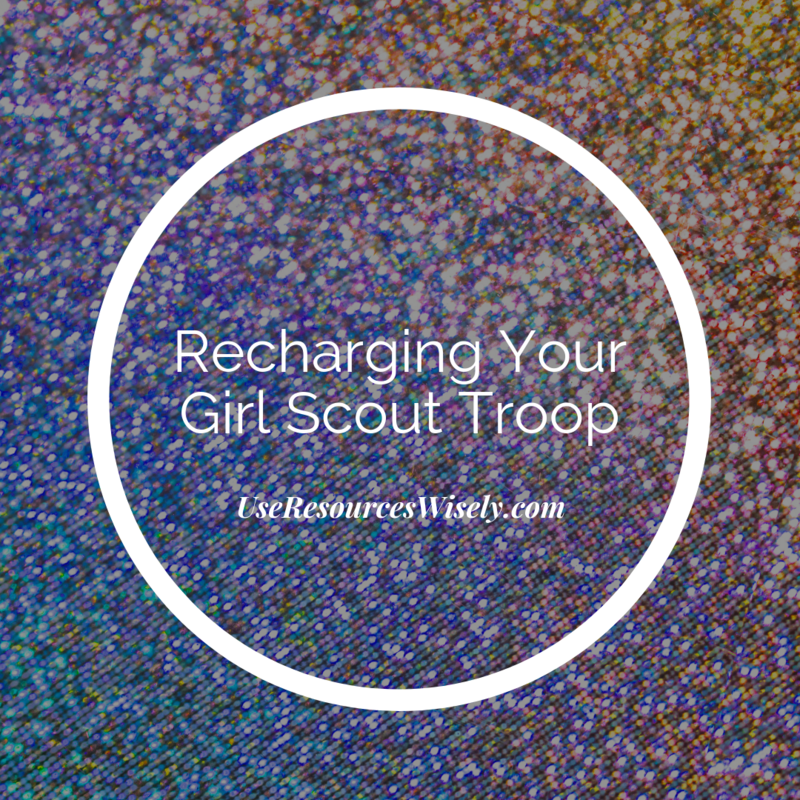 At this point, we've listened to all of them (audiobooks are still our preferred method for these, since everyone can listen along while playing or working quietly) several times, and the girls still don't seem tired of them! We have listened to the entire series in published order at least once--most of them while on a really long road trip, and the rest as they're available on audiobook--and once a month, we revisit a particular book again, as Will's online Magic Tree House Club (available through Currclick, if you're interested) also moves through the books in published order. But yes, we do also re-read the books that relate to a particular subject that we're studying at the time--each one takes about an hour to listen to, so it's not a huge commitment. For instance, we recently listened to *Mummies in the Morning* over lunch, as part of the mummies and pyramids chapter of our Story of the World textbook. My own philosophy about visiting the books in published order vs. chronological order is that you *could* do them in chronological order, and it is certainly fun to do the Christmas books around Christmas and the Thanksgiving book around Thanksgiving, but Osborne makes no claims to provide a comprehensive history, so the books really aren't a history spine in themselves, and she also writes some books that are in geographical context rather than historical--there's an Australia book, for instance, and a moon book--AND some books are purely fantasy, better for studying Arthurian legend, or the genre of scary stores. There's also the continuity of the books themselves to consider--the books are often sorted into little sets, wherein the kids have a major quest that it takes them three or four books to accomplish, and sometimes new characters are introduced. Reading the books in published order worked well for us, but mind you, we first read them before we really started a formal history study, and now we mostly read them for fun and enrichment on top of that study, so we've never even attempted to use them AS a formal history study, you know? I'm trying to remember where I got the thumbnails for the book covers, and I'm 99% sure that it was just a Google Image search--I don't think you'll find it too hard to grab them. This is great! I was looking up a timeline for the books so we could read them as we study that time period! Thanks! The librarian in me wants to catalogue and index ALL our things now! 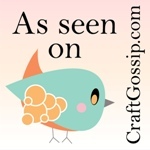 Podcasts, Magic School Bus, Horrible Histories--think of how helpful that would be! I"m so happy to find your list, thanks so much!! We just got into the Magic Treehouse books (we are on book 3) and my teacher brain went right to-----we need a TIMELINE HERE! So tomorrow we will be turning the upstairs hallway into a time line. What the heck, we'll need to paint it anyway in the next few years before we move. Thanks again! Hey, just thought I would comment here to tell you how often I look at this post! 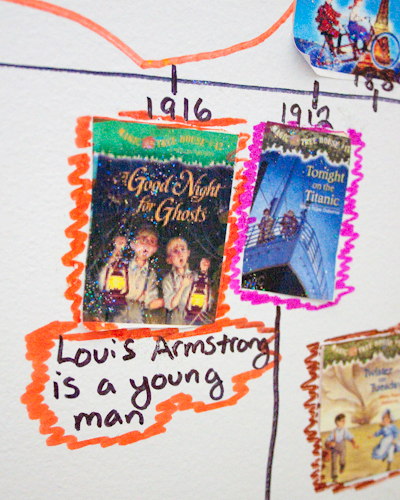 We are making a Magic Tree House timeline, and your dates are so helpful. We are also doing a Magic Tree House world map and US map, so the kids can get a feel for WHERE the books took place as well. Thanks for the inspiration here! Thanks! I've got to figure out a timeline set-up for our new house so that I have an excuse to update this list. I DO have a couple of good wall maps, though--maybe it's time for the MTH geography list! Have you put yours online? Thank you for this! We are almost done listening to the series, and we are doing a map and timeline of the books. On the MTH website there is an intercitve map of where they all took place. Do you have the rest of the books dates? I have found this very helpful! --but just a quick Googled plot summary usually gives me enough info to pin down a good date for each book.